Want to use a US Check, US Money Order, or US Cash? Use this REVISED STTM I BOOK ORDER FORM . 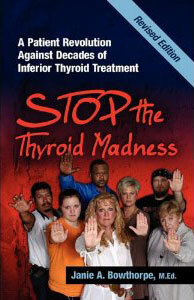 Concerning the first STTM I revised book: The most passionate and best-informed patient revolution has begun! 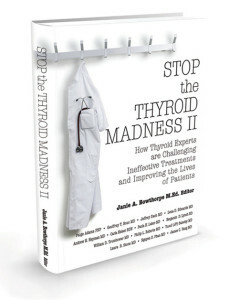 Based on the experience and wisdom of ten years of patient experience, this is your original and only “patient-to-patient” book, chock full of practical, comprehensive and user-friendly information about better thyroid treatment, more revealing lab work, and how to discover and treat conditions that accompany hypothyroidism—all to make you far more educated and pro-active when you enter your doctor’s office. 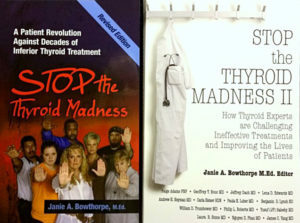 One of the most detailed, patient-experience treatment books you’ll ever read… and read… and read. Get ready to highlight and underline, because THIS will help you get well. Hooray! THE STTM II book is out!! Each chapter is written totally by enlightened doctors and gives you additional thought and a great deal of excellent information! You can learn JUST about the STTM II book here (and order it alone)….or you can see a comparison about the two books here. To order BOTH, go here. 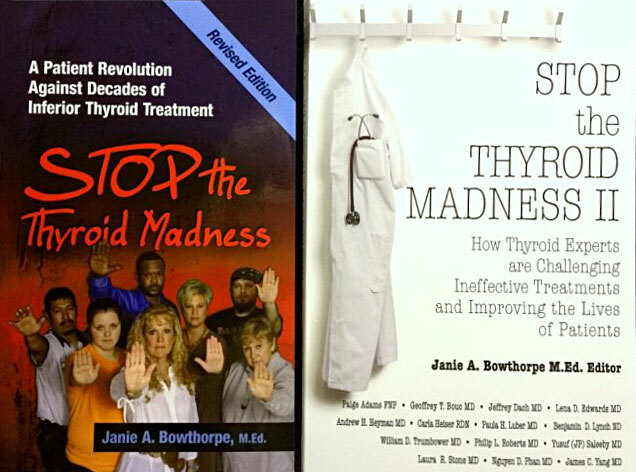 About the author: Janie A. Bowthorpe M.Ed is a thyroid patient herself who suffered for twenty years thanks to the TSH lab test and T4-only treatment. 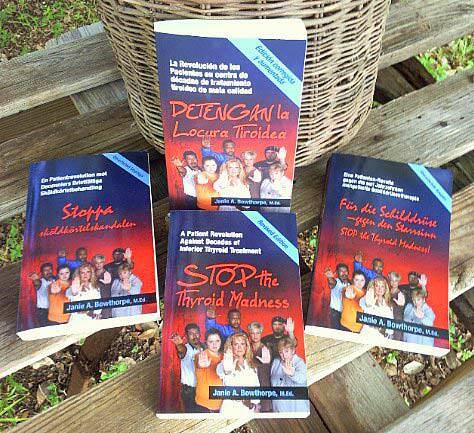 After her life made a huge turnaround thanks to natural desiccated thyroid in an optimal dose and treating other issues, she became a thyroid patient activist, author, blogger, phone coach, speaker and most importantly the Messenger of worldwide reported patient experiences and wisdom gained, represented by the informational website Stop the Thyroid Madness. What was added to the Revised Second Edition? Updated changes and additions to EVERY SINGLE Chapter plus 36 new pages, all for the same price as before. You can’t beat it. What is Laughing Grape Publishing? © 2013 – 2018 Laughing Grape Publishing, LLC. All Rights Reserved.